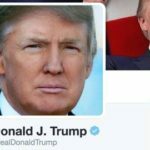 The Friday File: After tweeting/retweeting about 200 times/month in January and February, President Trump’s tweeting fell to a low of 150 in April. Since then, he has upped his game. In July, President Trump’s tweets hit 400 for the first time, where they have remained since. November is on pace to break 700. Trump’s most prolific day was 11/7/17; 51 tweets, followed by 2/28/17 at 42, and 10/25/17 at 36.